The Webwinkel Vakdagen are one the leading e-Commerce events in the Benelux. 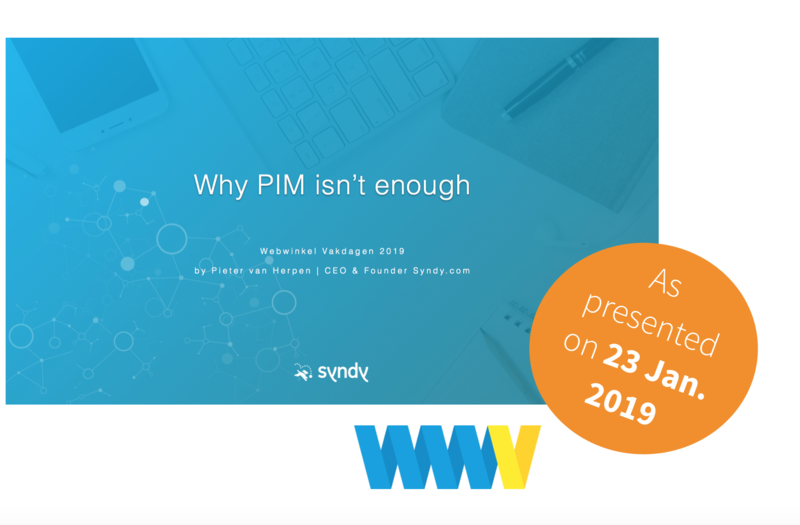 Syndy’s CEO Pieter van Herpen presented ‘Why Brands should think further than Product Information Management’ as a key strategy to win at e-Commerce. As part of his presentation, Pieter reflected on the differences between direct and indirect online sales channels for brands, like a brand’s D2C webshop vs. a retailer marketplace like Amazon.com. When working with third-party retailers like Amazon, brands must find ways to send the right product content to each retailer.